Pakistan is desperately poor. Its army is rich beyond belief. How come? There's a lot more to Pakistan's constant aggression towards India. It's a useful veil for one of Pakistan's most stark truths, about how its army has taken over its biggest businesses. I have been writing a lot about the Pakistani army lately. I have written how the Pakistani army deals with dissenting journalists with an iron hand and also, how they are successful in influencing some of our own to sing to their tunes. Today, I am going to talk about something that the Pakistani Deep State is most secretive about — and something that is unique about its army. In most parts of the world, throughout history, an army is raised to protect the nation's borders and the citizens that live within them. But in Pakistan, the army has gone much beyond this brief, to a point of no return. If you look at the 72-year-old history of the country, there seems to be a close competition between military dictatorships and democratically elected governments. Since its creation on 14 August 1947, Pakistan has spent 34 years under military dictatorship — and 38 years under a democratically elected government. The military generals ruled Pakistan after three successful coups — 1958 to 1971, 1977 to 1988 and from 1999 to 2008. Pakistan's history is littered with many other unsuccessful coups by the military where they were unable to overthrow the government. 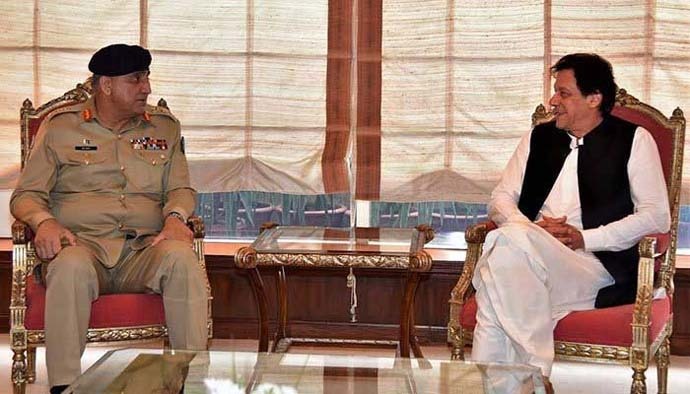 The constant struggle between the military and civil administration seems to have come to a thaw after the appointment of Imran Khan as prime minister, who reportedly came to power because the army backed him up in the last general elections and apparently sabotaged the other prime ministerial candidates who stood against him. So, it's an uneasy relationship between Imran Khan and the Army — and he knows that he is going to stay on the chair of the prime minister as long as the army wishes him to. Much has been written about the military history of Pakistan and how power was usurped by the army from its civilian governments whenever they declined to play ball with the army. But not much has been written about how the army completely broke the backbone of Pakistan's economy — and established themselves as the largest and most profitable business empire in Pakistan. The Pakistani army took advantage of its authority and kept establishing businesses across Pakistan by reportedly eschewing competitors in the most unethical business competition the world is yet to know. 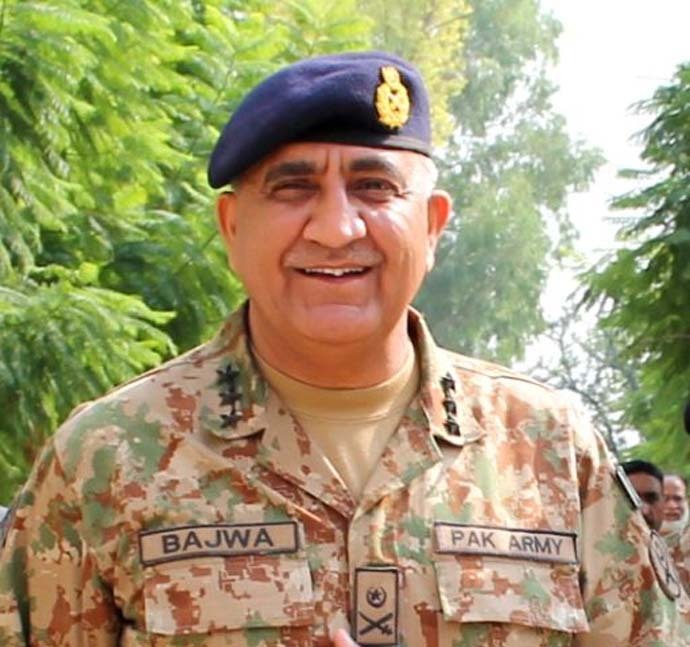 Today, Pakistan's army is the largest business conglomerate in Pakistan with more than 50 big business entities across Pakistan, most of whom are the largest in the country. Most of the businesses are run in the name of charitable organisations which are "dedicated to the nation" and directly operated by senior army generals. Take, for example, the Fauji Foundation, which is one of the most diversified business conglomerates in entire south-east Asia with more than 25 companies (4 wholly owned and 21 associated companies, as per their own website). If you look at the top management of the company on their website, you get to see the below picture (attached as Fauji Foundation Management). Most of the corporate heads of this business empire are sitting (in the picture) neatly in their army fatigues, and those who aren't, are also commissioned officers in their armed forces. This picture describes the situation of every such company owned by the Pakistani military. Today, Pakistan's army sells biscuits to sanitary napkins, power to fertilisers — all in the name of charity! We now know that the Pak army is also aggressively expanding its business empire. News trickling in is that they are getting ready to dig gold in Baluchistan, a province where the common people are revolting against the aggressive abuse of its abundant natural resources and demanding independence from the Pakistani occupation. There are reports of large-scale human rights violations from Baluchistan almost every day. Despite the fact that the Pakistan army is the largest business conglomerate in the country, it has one of the most opaque accounting systems in the whole world. There is no currently available data about how much is the worth of the Pakistan army's business ventures. More than a decade back, in 2007, we had got some data from Dr Ayesha Siddiqa, a former researcher with the country’s naval forces, which estimated that the military’s net worth would be more than £20 billion, "split between $10bn in land and $10 in private military assets." According to Dr Siddiqa, $10bn was roughly four times the total foreign direct investment generated by Islamabad in 2007. She also found that the "army owns 12 per cent of the country’s land, its holdings being mostly fertile soil in eastern Punjab. Two-thirds of that land is in the hands of senior current and former officials, mostly brigadiers, major-generals and generals. The most senior 100 military officials are estimated to be worth, at the very least, £3.5 billion" (2007 estimates). Dr Siddiqa's book was promptly banned by the army — all its copies were brought from the market and destroyed promptly. Dr Ayesha was reportedly threatened and hounded out of Pakistan by President Parvez Musharraf. Dr Siddiqa, in the 2017 version of the book, freely uses the term called 'Milbus', which she illustrates as, "military capital that is used for the personal benefit of the military fraternity, especially the officer cadre, but is neither recorded nor part of the defence budget’. No doubt Dr Siddiqa moved abroad when the second edition of the book released. Nobody knows how much the Pakistani army is worth in 2019 — but even a ballpark figure would put it over one trillion dollars. However, given the nature of its opaque accounting system and secretive wealth building, we will never know the actual worth of the Pakistan army. It is not just speculation that this huge build-up of wealth has happened because the army has settled its companies firmly over Pakistan's natural resources and the finished products are being sold back to its citizens. Of course, the charitable nature of the companies also ensures that it receives all of the army contracts which are paid for by the government using Pakistan's honest tax payer's money and allocations from the Defense budget. 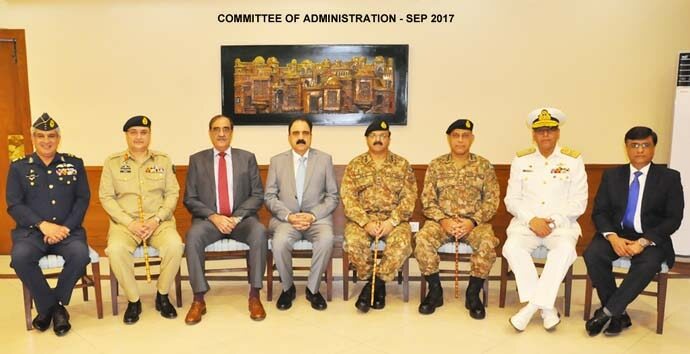 You might argue that an army which is this crazy rich and which is sucking out Pakistan's natural resources and selling it in the open market, might not need any Defense Budget. It has so much money — why does it need more money? Turns out, it needs money and badly so. So much so, about Pakistan's 21% of the total budget allocation (in 2018) is reportedly usurped by the Armed Forces and it amounts to $1.1 trillion! Imagine the inflow of cash into its coffers. For the Pakistan army, the cash is flowing in from everywhere — through its business ventures in the form of profit and through the civilian government in the form of Defence Allocation. Plus, there are other modes of income like joint ventures and investments. Pakistan — right at this moment — is struggling with its economy. They have no money to service its debts and its Prime Minister Imran Khan is going from country to country seeking funds to thwart an economic crisis. Even the World Bank has suggested Pakistan put a cap on its defence budgets. This perhaps explains how when Pakistan doesn't have enough money to pay for its exports, the manner in which it is maintaining terrorist camps at such high costs. The answer is — Pakistan has no money but its army is cash-flush. Pakistan is too busy trading barbs with India and turning a blind eye at its empty coffers — while its army is secretly filling their own.